The first quarter of 2016 saw a number of notable changes in the blockchain industry, the most obvious and contentious of which may have been the evolving language used to describe the industry itself. Once termed the “bitcoin industry”, such a definition no longer seems adequate in describing the breadth of innovation being pursued by industry innovators on technologies that increasingly diverge from the original implementation of blockchain technology, bitcoin. In addition to the entrepreneurs building on the bitcoin blockchain, the quarter provided ample validation for alternative blockchain-based projects, ranging from the expansion of permissioned distributed ledger efforts to the launch of Ethereum, an alternative public blockchain that enables functionalities like smart contracts. As a result, CoinDesk introduced its latest State of Blockchain report with a new taxonomy and conceptual framework for looking at the industry, one that positions the ongoing innovations in private blockchain technology and public blockchains as comparable to intranets and the Internet, respectively. 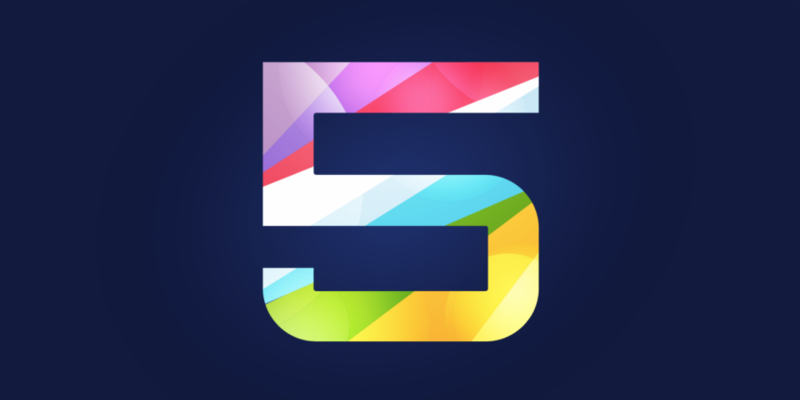 The shift was in line with many major developments for the quarter, which saw bitcoin steadily grow its hashing power and user base while blockchain technology solutions for the financial industry stole a majority of the spotlight. Following three quarters of declines in both total industry funding and average deal size, the blockchain industry saw a reversal of this trend in Q1. 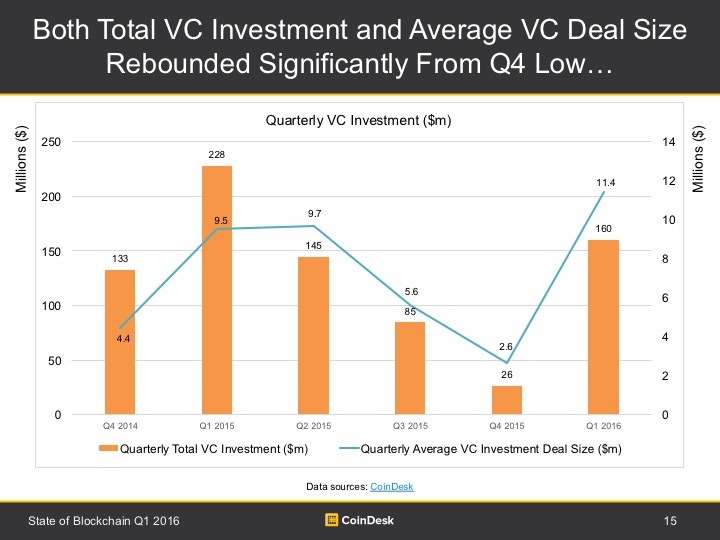 VC firms invested $160m in blockchain ventures during the quarter, up from $26m the previous quarter. Further, average deal size rose from $2.6m to $11.4m. Overall, the figure arguably represents the strongest quarter for funding in more than a year. The $160m figure is higher than four of the five previous quarters, with Q1 2015 being the exception, a total that includes all of the $116m in VC funding raised by 21 Inc, though this capital was likely raised over a longer period of time. Elsewhere, there were other strong indications that, while the number of investments is less frequent, the startups that are raising funds are having more success. The quarter’s largest funding round belonged to Digital Asset Holdings, which pulled in more than $60m (the exact total remains unknown) from an all-star cast of financial institutions. The figure dwarfed the highest total from Q4 2015, when Align Commerce raised $15m. 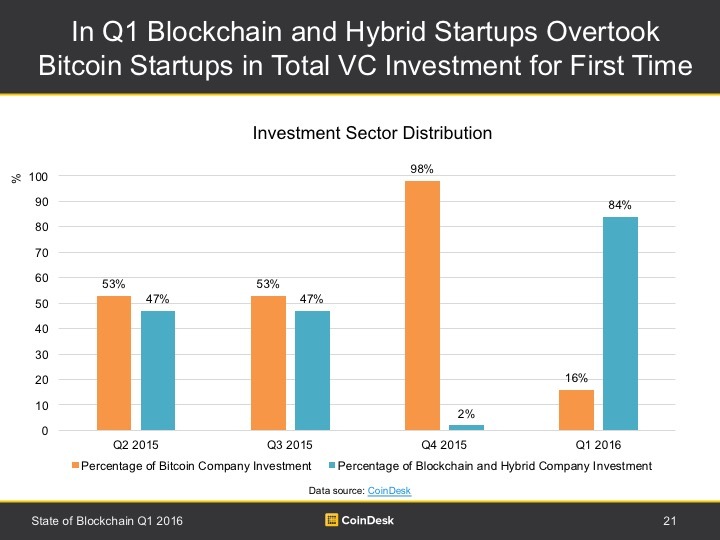 Venture capital also showed a clear preference in Q1 for startups that are offering blockchain-based services for technologies other than the bitcoin blockchain. Of the $160m invested in Q1, only 16% went to startups providing services specifically for the bitcoin blockchain, with 84% invested in startups working on permissioned blockchain efforts or both permissioned and public projects. This was a sharp contrast from the three previous quarters, when bitcoin funding topped the money raised by more general blockchain startups. However, it remains unclear if the data should be interpreted as a sign investors are bullish on private blockchains and bearish on public offerings like Ethereum or bitcoin. With many of bitcoin’s infrastructure providers already well-funded, it remains possible that a similar seeding is underway as new entrepreneurs seek to apply the technology to the business problems of financial incumbents. 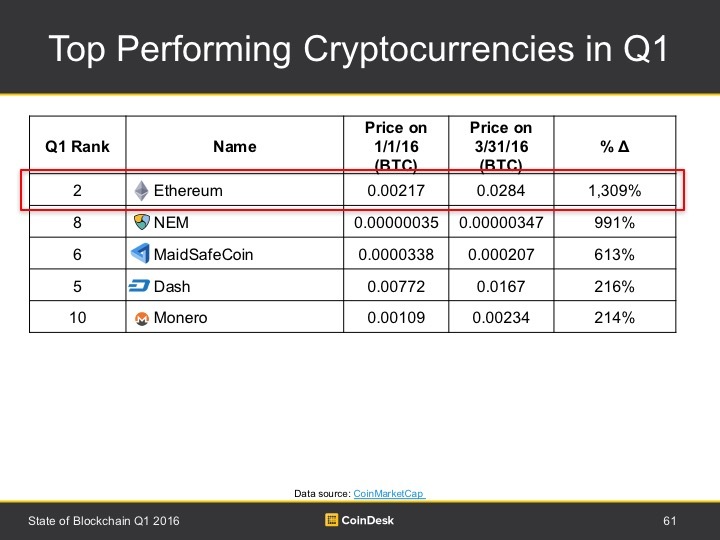 Spurred by high-profile trials of its technology at major banks as well as the formal launch of its production platform, Ethereum was among the big winners in Q1. While this has yet to be reflected in investments in startups building on the decentralized application platform, the enthusiasm is most visible in the rising price of ether, the token used to power applications on the network. The price of ether rose more than 1,000% over the course of the quarter, and though its market has calmed somewhat in recent weeks, major exchanges are proving increasingly inclined to support the ecosystem’s traders. Most recently, Gemini, the New York-based digital asset exchange founded by investors Cameron and Tyler Winklevoss added ether to their platform, making it the only digital asset offered alongside bitcoin. The arrival of ether as an investment of interest to traders is also significant for the wider digital currency ecosystem, providing evidence of the claims that bitcoin could eventually spur the creation of an entirely new asset class. While the verdict is still out on which versions of blockchain technology will become the most widely adopted, the media has shown a clear interest in placing permissioned blockchain platforms at the forefront of coverage. 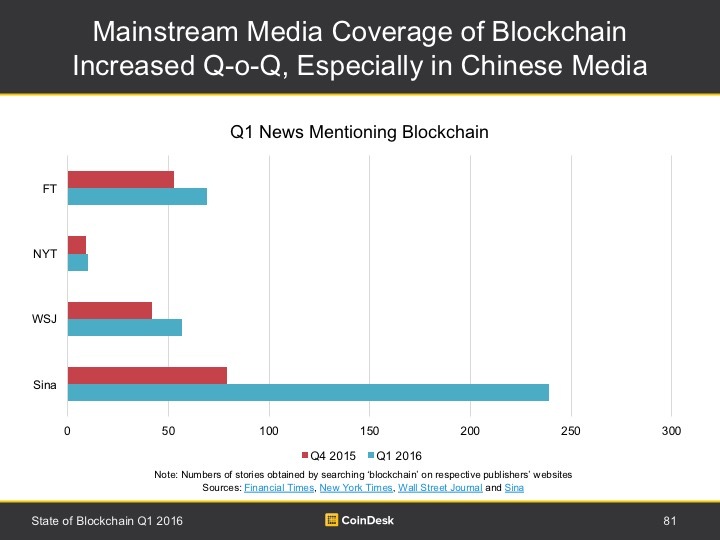 Mainstream media interest in blockchain increased in Q1 2016, with The Financial Times, Sina The New York Times and The Wall Street Journal all running more stories on the topic. This contrasted with stories on bitcoin, as all three media outlets ran fewer articles on the subject in Q1 than they did in Q4 2015. As with the VC investment, the impact or genesis of the trend remains unclear. One possibility is that the change is a reflection of online searches. 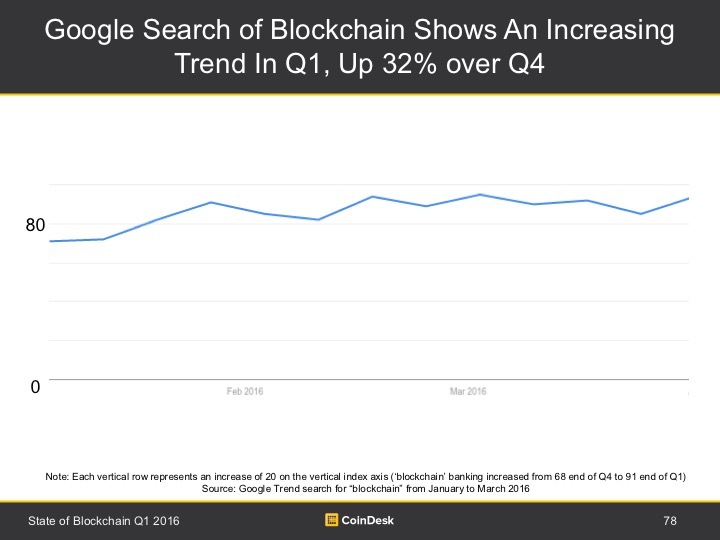 Google queries for “blockchain”, for example, rose 32% over the quarter, a shift that may have shifted how media outlets are positioning their coverage of industry developments. The prominence and interest of blockchain solutions was also underscored by the actions of prominent global regulators and public officials in Q1. In total, representative of the US Federal Reserve governor, US Commodities Futures Trading Commission (CFTC), US Securities and Exchange Commission (SEC) and the US Office of the Comptroller of the Currency (OCC) all made statements indicating they would seek to support innovations in the industry this quarter, while providing words of caution about challenges that may lie ahead. The most vocal was CFTC commissioner J Christopher Giancarlo who made several prominent appearances at industry events, including a speech at the DTCC’s Blockchain Symposium in which he called for regulators to pursue a “do no harm” approach to developments in the industry. 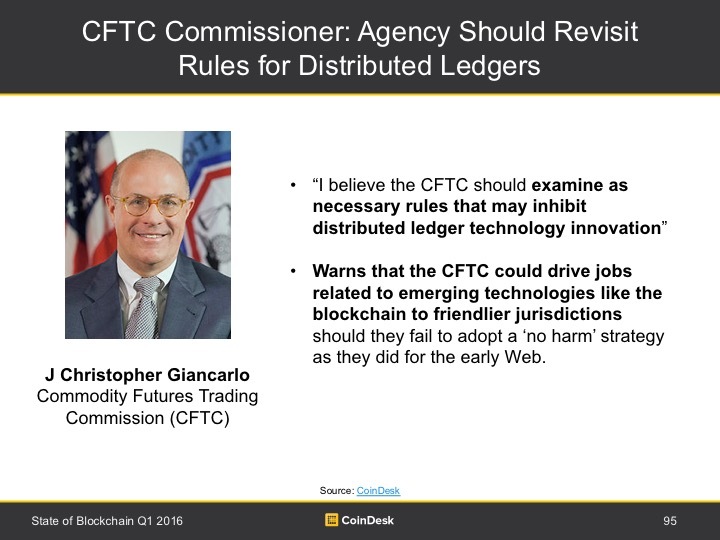 Giancarlo would go on to appear at a panel at CoinDesk’s Consensus 2016 conference, where he would echo these remarks onstage alongside former CFTC commissioner Mark Wetjen and Ben Lawsky, the former superintendent of the New York State Department of Financial Services (NYDFS).